A bigger shoulder turn will help you to hit longer drives. So today I’m going to tell you a simple way can do this. Before I give you the technique to do this, I just want to say that I’m not going to explain why this works because time is precious. Just try it and you’ll see it does. you can. When you get to that point notice how far you can turn your left shoulder in relation to your chin. Ok, so that’s the first swing. 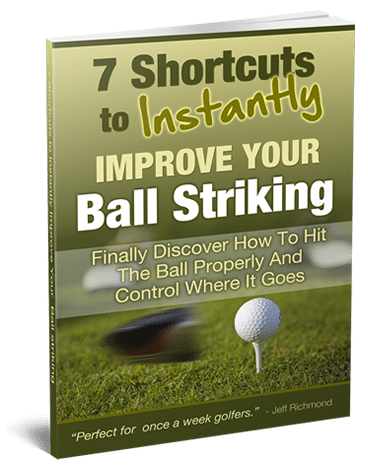 Now make a backswing again but this time I want you to feel like your RIGHT SHOULDER is going back behind you. So it’s moving back behind your head. Then at the end of your backswing notice where your left shoulder is in relation to your chin. When you do this you’ll notice that by focusing on moving your right shoulder back behind you – your shoulder turn will be bigger. Again, I’m not going to explain why. If you do this you’ll see it’s true. 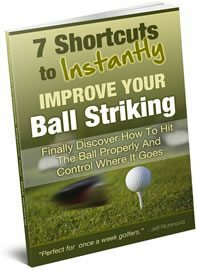 Just accept it and make this feeling a habit and you will hit longer shots. And as Bubba Watson says after performing some trick shot successfully…. YOU’RE WELCOME!